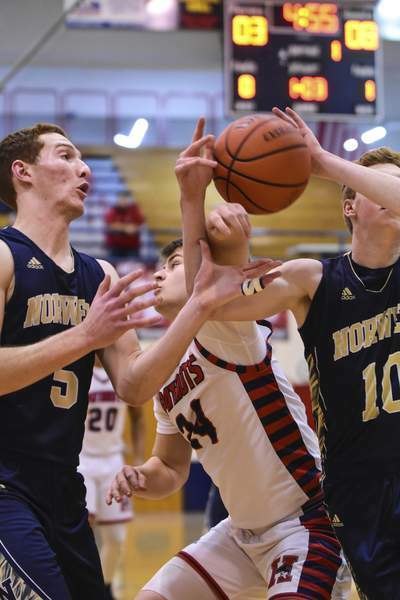 Mike Moore | The Journal Gazette Norwell defenders Will Geiger, left and Connor Torson, right, attempt to recover a rebound while Heritage senior Walter Knapke, center knocks the ball away in the first quarter at Heritage on Tuesday. 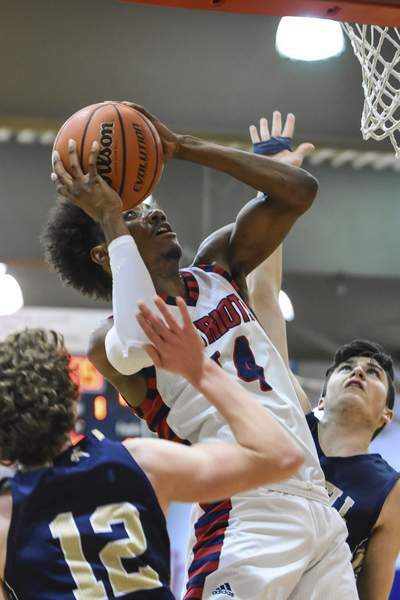 Mike Moore | The Journal Gazette Heritage guard Cameron Mitchell scores under the basket in the first quarter against Norwell at Heritage on Tuesday. 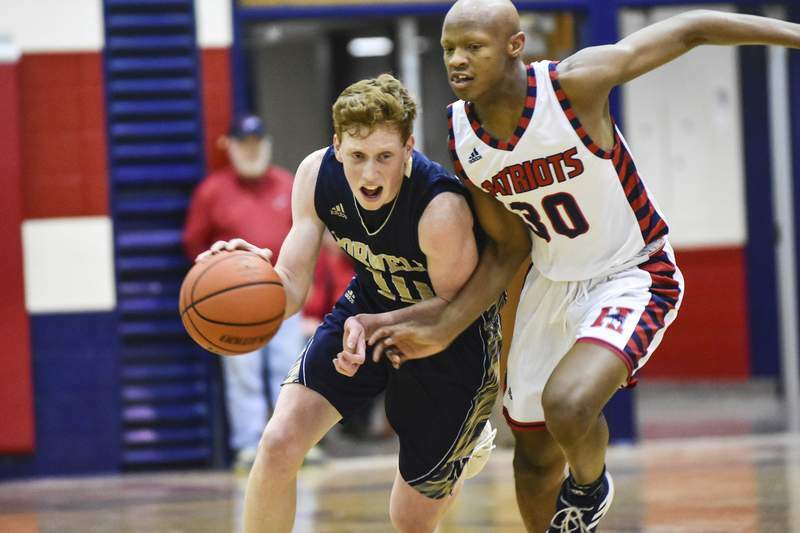 Mike Moore | The Journal Gazette Norwell junior Conner Torson drives down the court defended by Heritage forward Jason Holliness-Bell in the second quarter at Heritage on Tuesday. 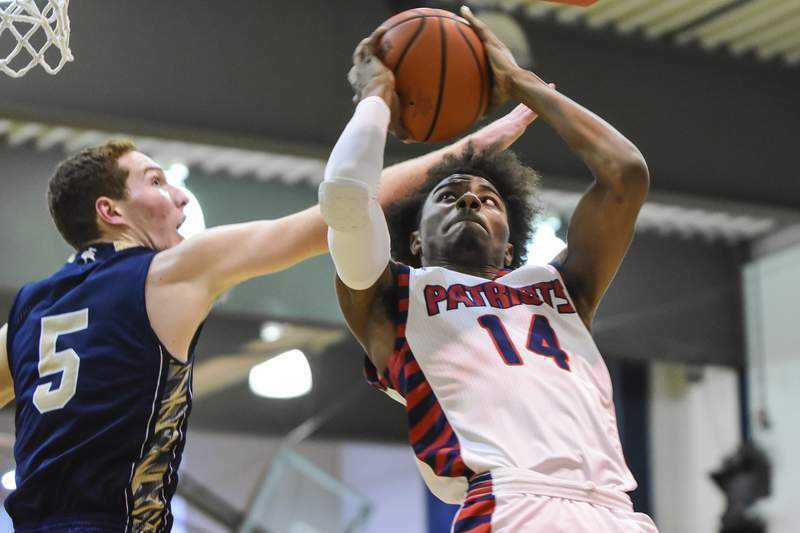 Mike Moore | The Journal Gazette Heritage guard Jaydon Harris drives to the basket scoring over Norwell junior Will Geiger in the first quarter at Heritage on Tuesday. 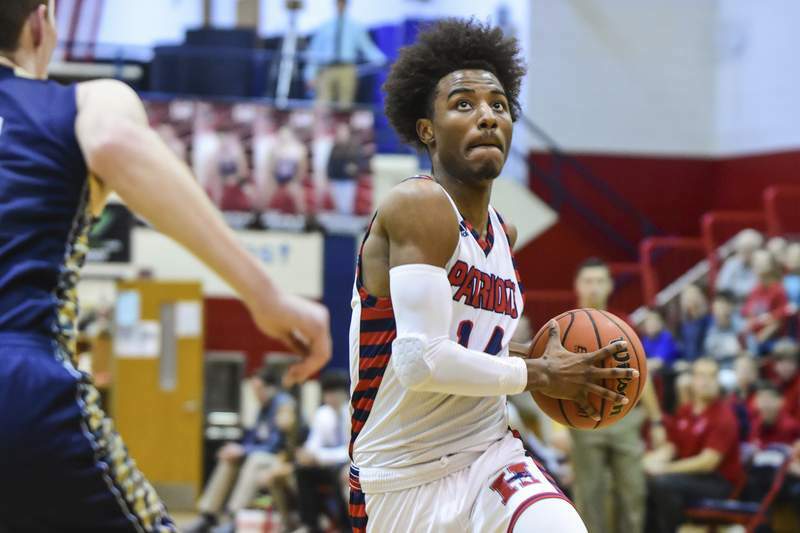 Mike Moore | The Journal Gazette Heritage guard Cameron Mitchell drives to the basket in the first quarter against Heritage at Heritage on Tuesday. 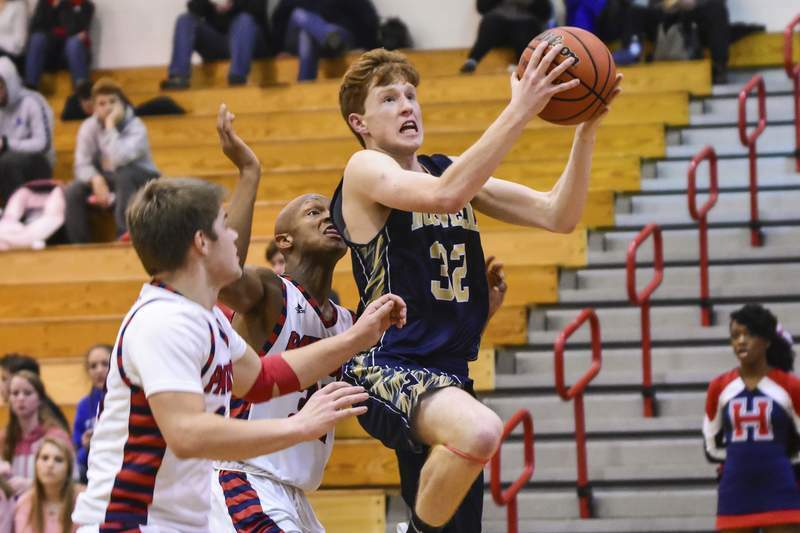 Mike Moore | The Journal Gazette Heritage guard Cameron Mitchell drives to the basket against Norwell junior Will Geiger in the first quarter at Heritage on Tuesday. 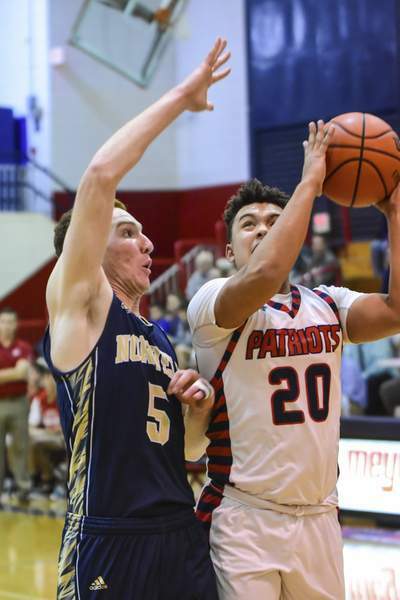 Mike Moore | The Journal Gazette Norwell junior Drew Federspiel drives to the basket scoring over Heritage defender Jason Holliness-Bell in the second quarter at Heritage on Tuesday. 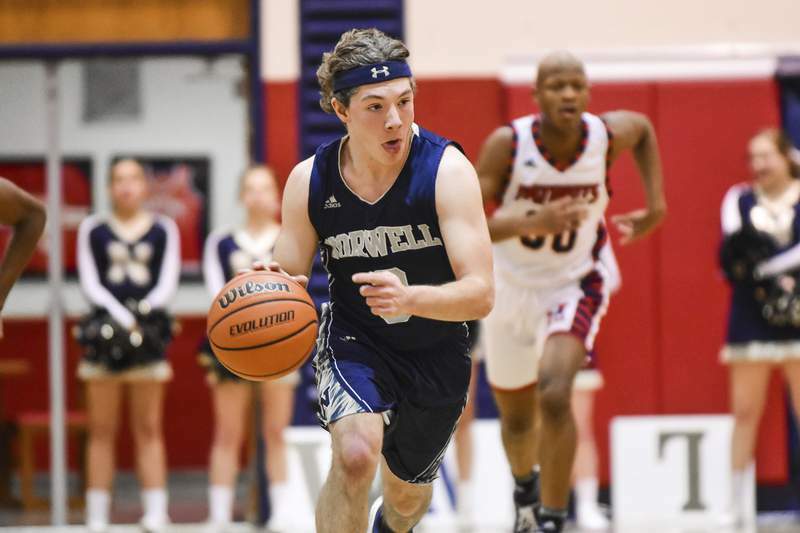 Mike Moore | The Journal Gazette Norwell senior Levi Leidig drives down the court on a fast break in the second quarter against Heritage at Heritage on Tuesday. 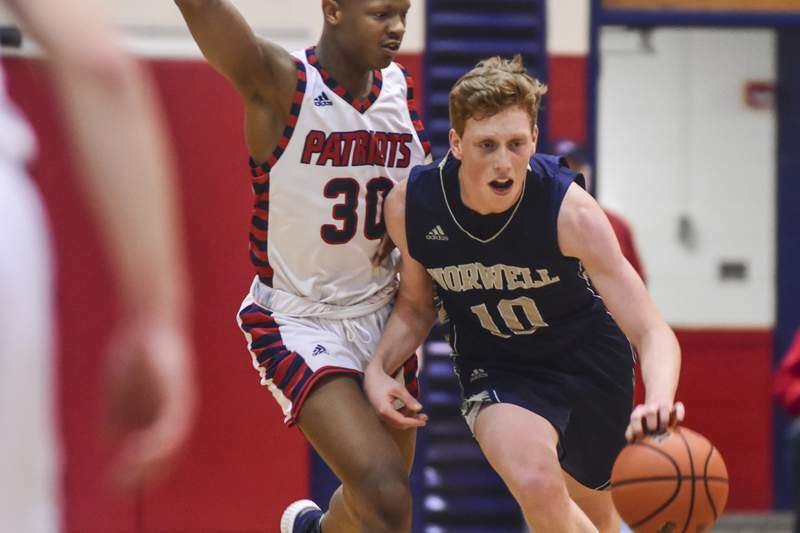 Heritage played host to Norwell in boys basketball on Tuesday.